Detroit has suffered from a bit of a bad reputation for a while, but we’re proud to count it as one of our local tour destinations. The best thing about a city with a bad rap is that there are so many hidden gems to uncover! 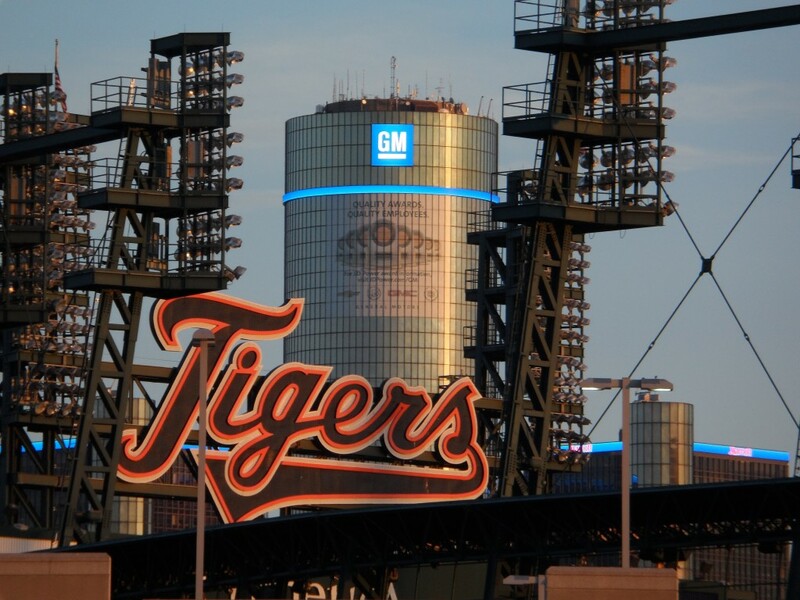 Home of classic cars, Motown, and four professional sports teams (can you name ’em all? ), we’re here with 5 things to do in Detroit to prove you wrong on everything you’ve heard about the Motor City! There’s so much to see in The D! If you love cars, you have to visit the Motor City! Attend our annual Auto Show, Grand Prix race, Autorama (hot rod cars), or Woodward Dream Cruise (thousands of classic cars). See the outstanding Henry Ford Museum, or the Ford Piquette Factory, where the Model T was first produced, or take a tour of the Ford Rouge Factory. Few cities can match Detroit for museums, cultural events, and great venues. Take in a performance at the fabulous Fox Theater, Fisher Theater, Detroit Opera House, Orchestra Hall, or Music Hall. Visit our excellent art museums, like the Detroit Institute of Arts or Museum of Contemporary Art. Stroll around the Detroit Historical Museum, Motown Museum, Museum of African American History, or Museum of Arab American History. Don’t forget about our Freedom Festival fireworks in late June, our parades for Labour Day, Thanksgiving Day, and Veterans Day, and local events celebrating Irish, Polish, Greek, Arabic, and Mexican. And you thought there was nothing to do in Detroit! We have great options for fine dining (including the Whitney, Roast, and Coach Insignia with a fantastic view from the top of the Renaissance Centre), plus awesome casual spots that are easier on the wallet. Make sure you save some room for Detroit-style pizza at Buddy’s or Shield’s, Coney Dogs at American or Lafayette Coney Island, BBQ food at Slow’s, shawarmas at Bucharest Grill, Polish food at Hamtramck, Arabic food in Dearborn and local delicacies in Greektown and Mexicantown. 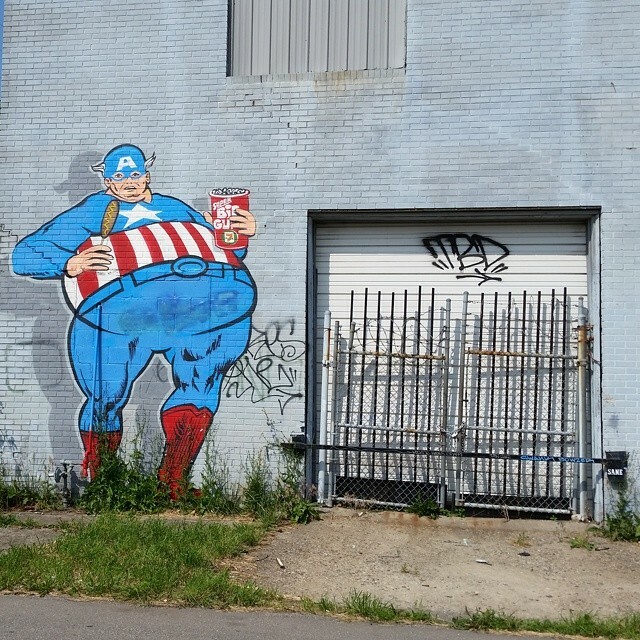 But maybe stop before you get to looking like Captain America up there! This is Motown, don’t forget, so you should visit the Motown Museum to see where those unforgettable hits were recorded by Smokey Robinson, Marvin Gaye, Diana Ross, Martha Reeves, the Temptations, Four Tops, and early Jackson 5. 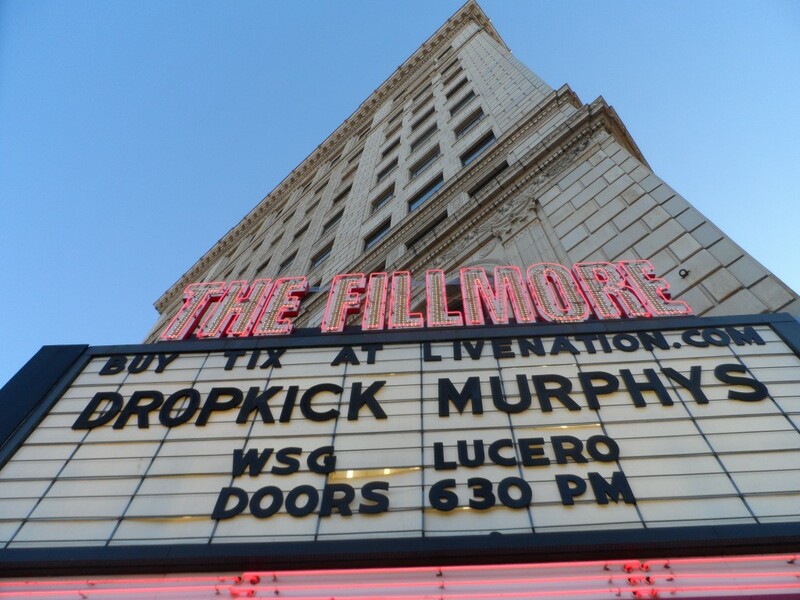 Detroit is also a great city for concerts – at the Fillmore, the Fox, DTE Energy Music Theatre, Palace of Auburn Hills, Royal Oak Music Theatre, and other venues. We have two special jazz venues – Baker’s Keyboard Lounge and Cliff Bell’s – and we a huge jazz festival on Labour Day weekend. Also, Eminem and Kid Rock are proud to be from The D! Whether you’re a spectator or actually participating, Detroit has so many opportunities to get involved in sport. See the pros, such as Detroit Tigers, Lions, Red Wings, and Pistons, or college sports like a football game in nearby Ann Arbor, or the MAC championships and an annual bowl game at Ford Field. Check out the Detroit Derby Girls (roller derby! ), major bowling tournaments, great golf courses, and the exciting Gold Cup power-boat races. We have a training facility for Olympic figure skaters in nearby Canton, Michigan, and there are places in the area for downhill or cross-country skiing. You can even try feather bowling at the Cadieux Café (it’s a Belgian thing! ), or visit a curling club. We also have a cool marathon in October that goes from Detroit to Canada and back to Detroit again. Can’t get enough of Detroit? 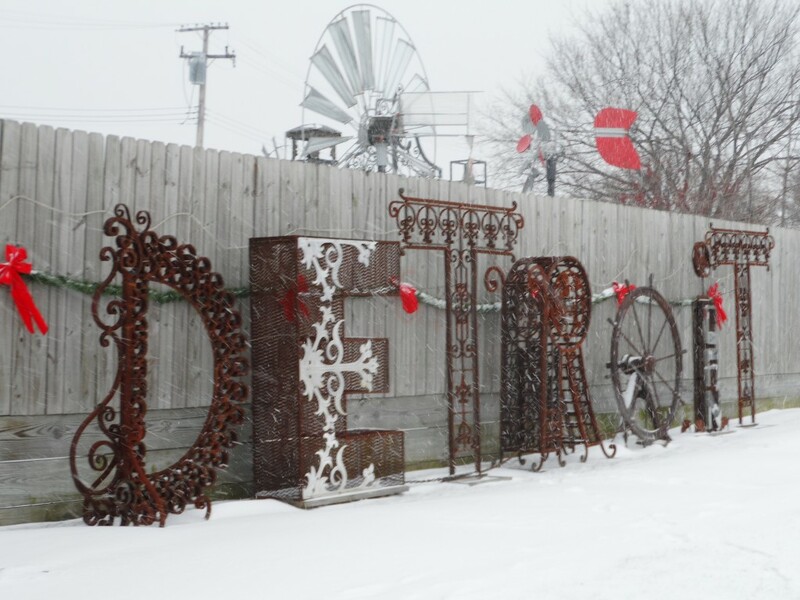 Discover the Motor City from a local perspective on our cool Detroit tours!